Is Hostel Traveler the Cheapest? We’ve recently seen posts on various blogs and sites comparing the cost to travelers of booking their hostel accommodation on some of the leading websites, including Hostelling Interntional, Hostelworld, Hostels.com, and Hostelbookers. We’re happy to note that HostelTraveler.com remains the cheapest and the best bargain for the budget traveler. HostelTraveler.com’s typical pricing is 8% deposit plus $0.75 per bed. In Euro terms this equates to 8% deposit plus 0.52 Euros. This means that for a 1-2night stay and a hostel bed at 20-25 Euros, HostelTraveler.com is cheaper for the traveler than the HI example above. Check it out for yourself. 7 minute walk from JR Kyoto station (700 meters). J-Hoppers are the cross-cultural hostel for “Japan-Hopping “travelers. 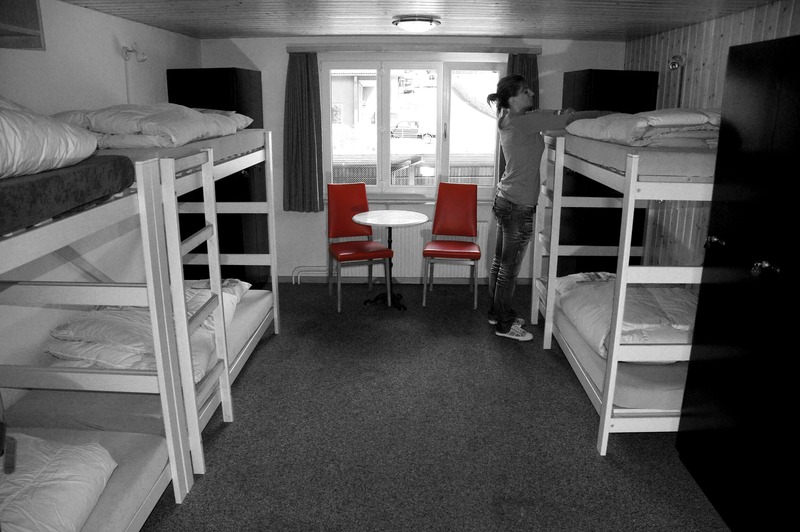 The Hostel of/by/for the Backpackers!! PRICES PER PERSON PER NIGHT- Drom 2,500 yen / Private Twin, Double 3,000 yen. We also have hostels in Osaka, Hiroshima and Hida Takayama.